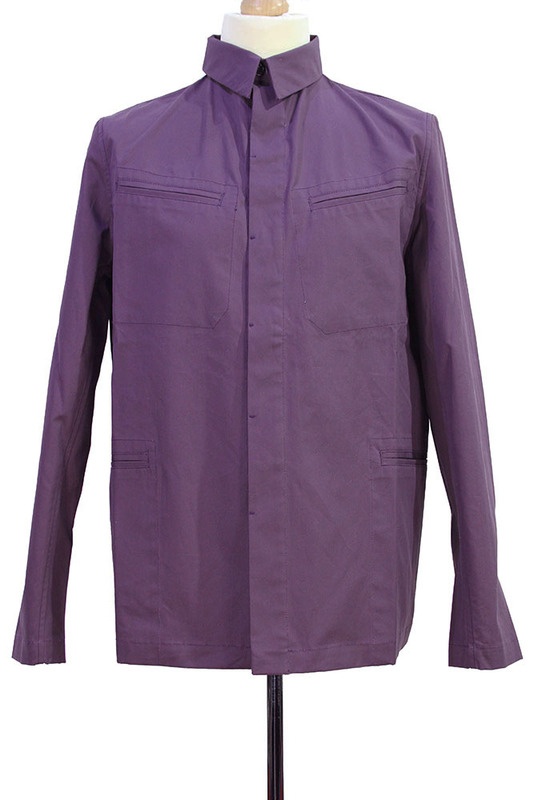 The Lost Explorer 'Hornbill' Ventile Jacket made in USA a real Plum colour, not Plumb. 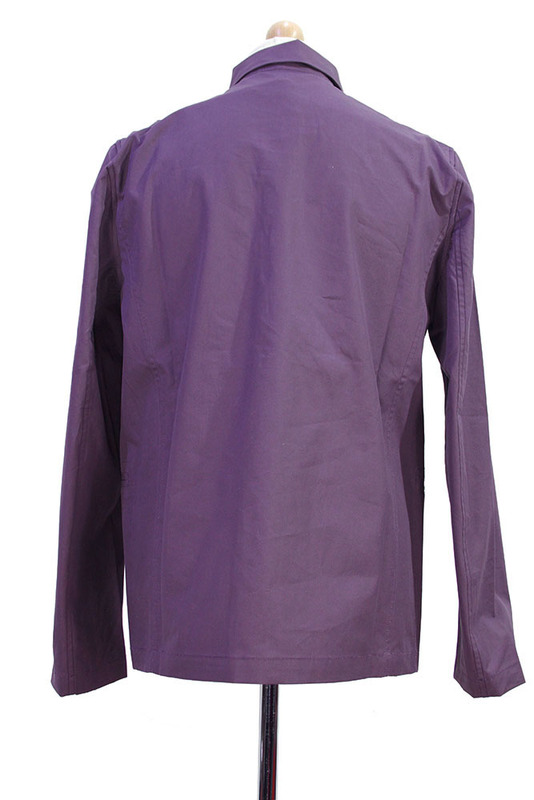 Brilliant, substantial fabric as you would expect and waterproof! Ventile is such a great fabric, great to see it in this collection. 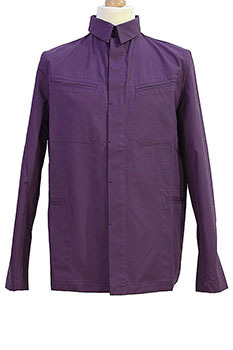 Shirt style shape, with collar. 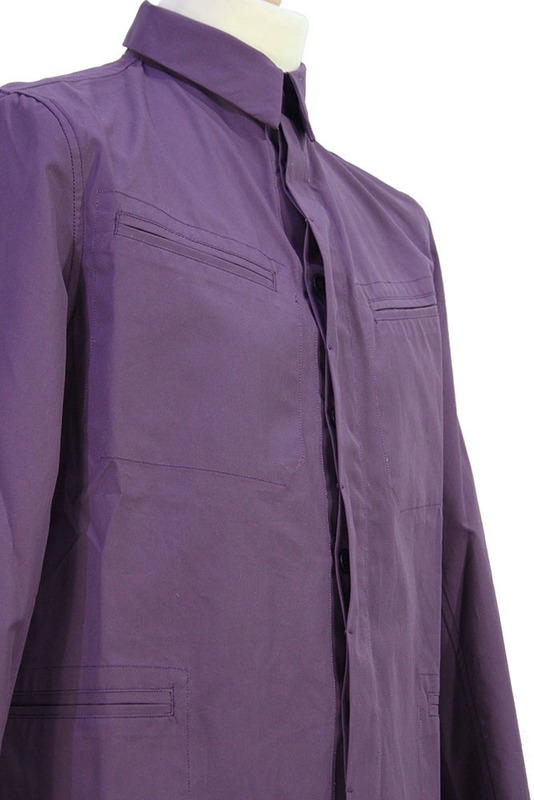 6 button fastening, with sectioned placket. 2 angled chest pockets with details. 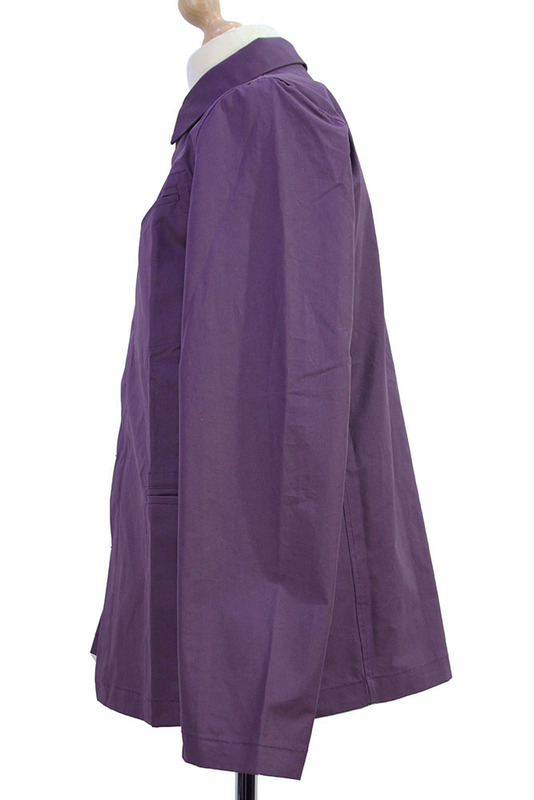 2 main pockets with stitch detail. Plain finished cuffs. Straight hem. Doubled French seamed finish inside. Highly recommended.